Gordon Ramsay is one of the world's most decorated and successful chefs, with an empire that includes more than a dozen restaurants, countless best-selling cookbooks, and seven hit TV shows, including Master Chef Jr, which returns to Fox this February. But, how is he with spicy food? Find out as the MOST-REQUESTED GUEST in YouTube Channel Hot Ones history finally sits face-to-face with Sean Evans. Despite his misgivings about the culinary quality of the wings of death, Gordon throws himself into the challenge full force. Along the way, he discusses his chef influences, explains how to make the perfect scrambled eggs, and tries to find an antidote to spicy food. 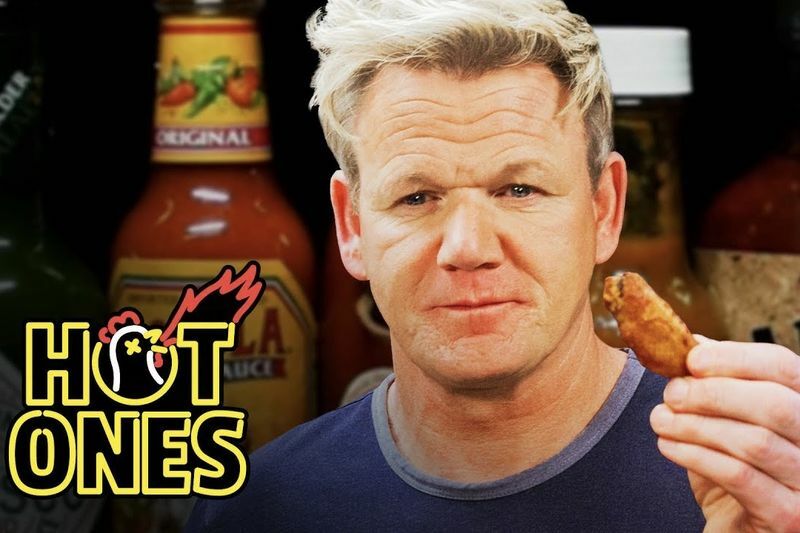 Watch how Gordon Ramsay savagely critiques wings and hot sauces on the show Hot Ones. Video: Momsplaining – The Only Prenatal Info You Will Ever Need! Video: Rollercoaster Selfies – Oh, The Horror! Video: You Will Get The Shock Of Your Life When You Watch This! Video: October Funnies, Because Laughter Is The Best Medicine! Video: 35 Texts From Masters Of Sarcasm! Video: Gordon Ramsay Is Doing Pranks Now...it Is Kind Of Entertaining!!! Video: You Can't Resist Laughing While Watching Animals Do Weird And Stupid Things!